Home \ Most Recent \ Rihanna and Drake break up again! Rihanna and Drake break up again! The on-and-off couple was first spotted together this year when RiRi attended the “Started from the bottom” rapper’s show at the Palais Omnisport de Bercy in Paris and then continued the night along with Drake in a local club. By March they were seen holding hands after a London club night. But it seems that their short romance is over again. 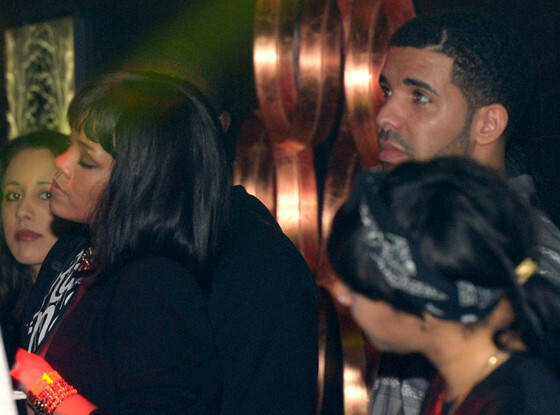 Drake was nowhere to be seen on the after-MET Gala Party that Rihanna threw at West Village’s Up & Down club. Another source, adds that “She’s mad at him a little bit because he told her, ‘Babe, you’re too needy. Let me hustle, babe. Let me work.’ That really hurt her feelings because she really loves him and wants things to work out between them.” Reportedly, there was a huge fight between the two of them that led to another breakout. 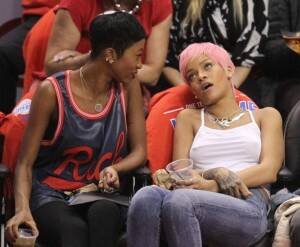 Right after the supposed break-up RiRi was spotted rocking a new pink haircut at the LA Clippers basketball game. Do you think the two of them will get back together? Tell us your opinion in the comment box below!